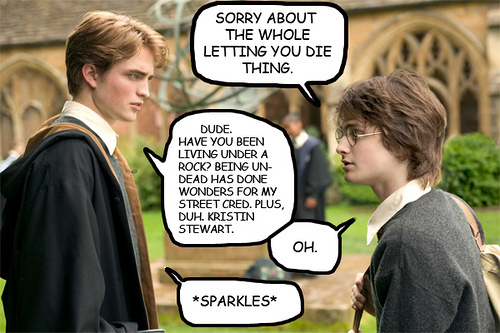 Undead. . Wallpaper and background images in the harry potter contra crepúsculo club tagged: harry potter twilight harry cedric kristen stewart undead. This harry potter contra crepúsculo fan art contains traje de passeio and terno de negócio.